I vividly remember when I was 25 being asked to record my laughter. I was living in a small town, Pinawa Manitoba. I went to a local community theater production on opening night. Since my laughter encouraged others in the audience to laugh, the theater troupe asked me to return to the other performances to engage the audience at the hilarious moments of the play. Since then, others have also encouraged me to laugh and spread joy. There are also many times that people have located me by following my laugh. People I haven’t seen in years have found me at the Guelph Farmer’s Market as my laugh echoes through the building. Strangers come up and chat after I release a belly laugh at a health fair or conference. 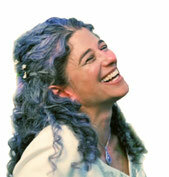 Many friends have tracked me down by following my heart-felt laughter and want to have a chuckle with me. It was in the summer when Avril and I were filming video footage that we decided November’s topic would be “Healing Through Laughter”. After all, with the cloudy and rainy weather upon us, who can’t use a giggle? This autumn has had many emotional challenges and I am really learning. It is during periods like these that I am very grateful I can laugh away the draining and stressful times. I’d much rather be laughing than any other response I can conceive. 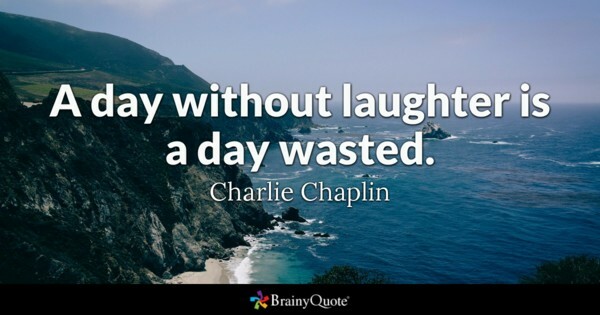 There are many scientific studies that support how “A chuckle a day keeps the doctor away” and I will curb my scientific mind that wants to throw a dozen articles your way. Just remember to take your “Laughter Prescription” every day! I do love laughing, deep spur of the moment belly laughs. Here is your opportunity to laugh with me and have my laughter in your home. Avril managed to capture my laugh on video.